The University of North Texas BioDiscovery Institute Genomics Center Core Facility is a 1700 square foot lab located in Life Sciences Complex A417 on the Denton campus. The Center provides experimental design and consultation support, sample quantity and quality analysis services, NextGen sequencing, microarray and qPCR services and support, and assists with data output bioinformatics and biostatistics analysis support. Our main core platforms consist of an Illumina NextSeq 500 sequencing system, an Illumina MiSeq Desktop sequencing system, a Covaris M220 Focused Ultrasonicator, an Affymetrix GeneArray Scanner/GeneChip workstation, and a ThermoFisher QuantStudio 5 Real-Time PCR System. Sequencing platforms are supported with the industry standard in auxiliary equipment including an Agilent 4200 TapeStation and a 2100 Bioanalyzer, a Qubit 3.0 Fluorometer, and a NanoDrop One Spectrophotometer. We employ numerous library preparation methods to support a multitude of sequencing needs as well as whole genome, transcriptome (RNA-Seq), exome, and targeted region of interest sequencing. Upon completion of your sequencing run, the Genomics Center will demultiplex the run by sample and convert the files from BCL to Fastq format. The sequencing files will then be uploaded to a secure cloud storage site and will be accessible for download. If requested, we can also directly transfer sequencing files to an external storage device. 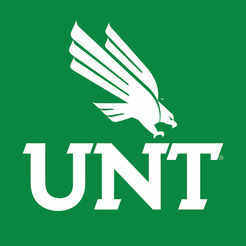 University of North Texas affiliated labs and institutions receive internal service rates. A different service rate is applied to external users. For inquiries about service rates, please visit the pricing page or contact us directly. Please contact Tracy Kim with any questions or to make an appointment to discuss your project.